New York — Hundreds of people took to the streets Sept. 17 to celebrate the second anniversary of Occupy Wall Street. 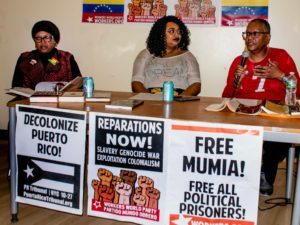 The protests began at 8 a.m., when Sumumba Sobukwe, the leader of Occu-Evolve, along with the People’s Power Assembly, held a picket line in front of the McDonalds restaurant facing Zuccotti Park in downtown Manhattan. Hundreds of cops with shotguns, metal barricades and nightsticks had already assembled all across the Wall Street area. With a large foam board and numerous signs supporting the striking fast-food workers around the country, a small crowd chanted, “We can’t survive on $7.25!” As the press gathered, activists from the People’s Power Assembly and Occupy Wall Street went into the McDonald’s and delivered a rose to each of the workers behind the counter as a gesture of solidarity. People’s Power Assembly representatives announced that a large action demanding a $15 minimum wage would take place on Oct. 24. At Washington Square Park, the crowd held a rally against the Trans-Pacific Partnership, a new “free trade” agreement the imperialists are discussing that would have disastrous effects on the environment and on working people. 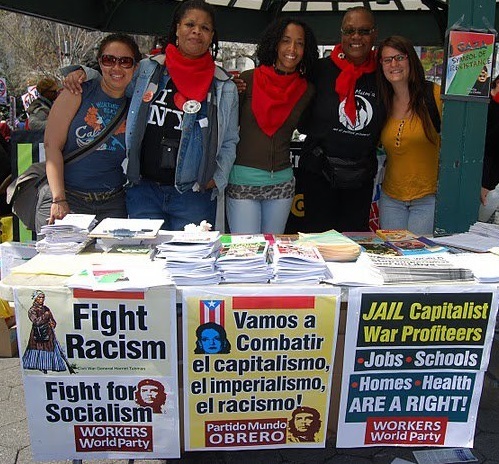 During the rally, Workers World Party set up a literature table and talked to many young people about socialism, communism and the need for a revolutionary party. Later that evening, some labor unions held a rally near the United Nations. The rally called for a “Robin Hood tax,” which would tax the ultrarich to halt planned cuts in jobs and services. Several leaders of the labor unions as well as activists with the AIDS group “Housing Works” were arrested when they held a planned civil disobedience action by blocking an intersection. During all the actions throughout the day, members of Fight Imperialism — Stand Together were present. A new publication of NYC FIST entitled “Young & Furious” was handed out throughout the crowd. 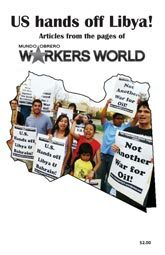 Hundreds of copies of Workers World newspaper were also distributed. Two years after the historic occupation of Zuccotti Park, millions of people are still filled with outrage about the economic situation. 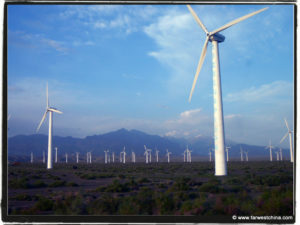 The battle cry, “We are 99%,” has not faded away. 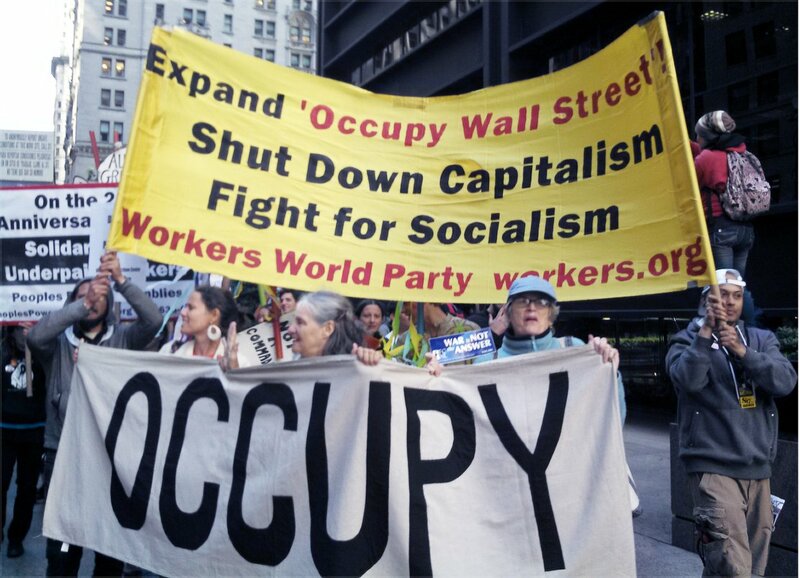 Workers World Party continues to stand with the Occupy movement and push for more uprisings against the horrors of capitalism in its monopolist, imperialist stage.